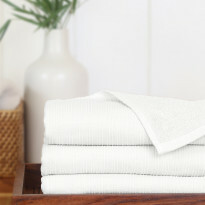 I just stayed at the RoseMary Inn in NJ....not only was it beautifu and the food fantastic, they had the cutest towels....YOURS! What a great idea, can't wait to own my very own! Beautifully textured weave on one side, with soft terry on the other. 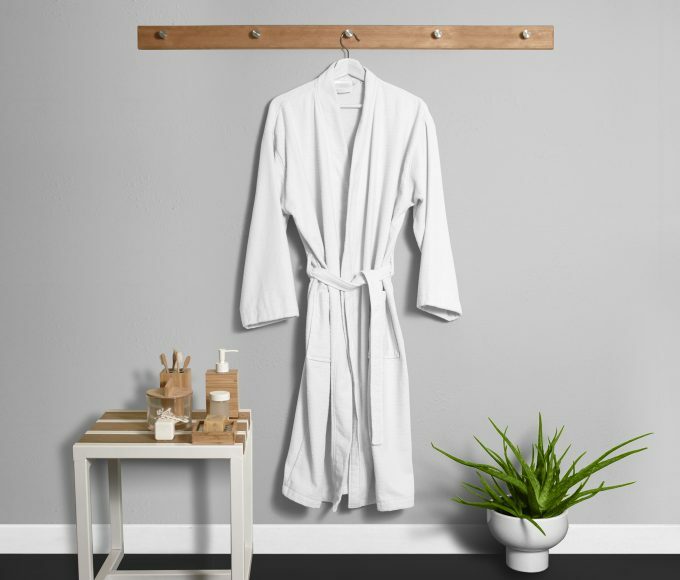 This spa-inspired robe from the Serene Collection caresses the skin, feeling luxurious and soft. 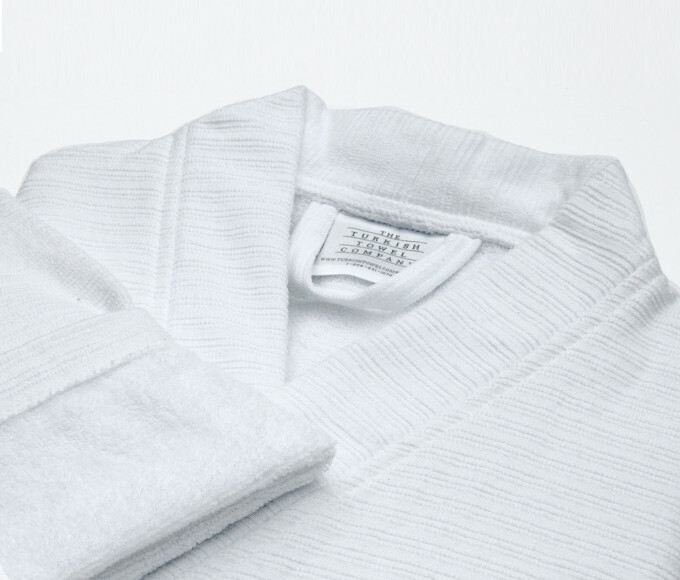 100% premium Turkish cotton. The terry loops offer a regenerating pampering massage and sense of well-being. 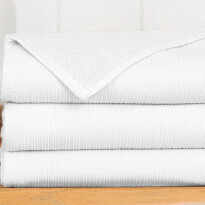 The unique textured weave combined with terry ensures the towel is quick drying, reducing energy usage during laundry. Available in two colors: White & Crème. 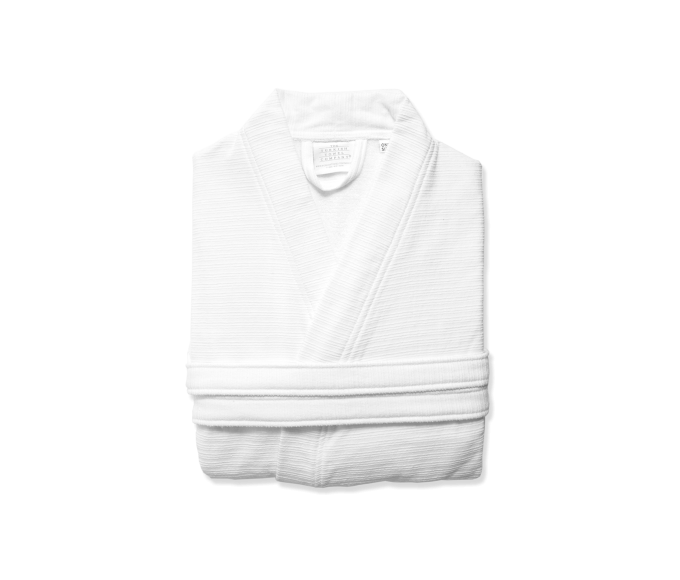 The Turkish Towel Company’s bathrobes all come from the legendary region of Denizli, Turkey. This is where the world’s finest cotton for towels and bathrobes has been grown since ancient times. 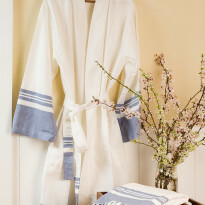 These Serene bathrobes will make you feel like you are relaxing at the finest hotel or spa. 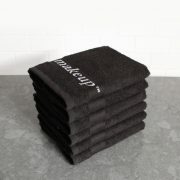 I just wanted to say thank you for your great product. We couldn’t be happier with the robes! Perfect fit for both my wife and I.